THURSDAY, April 12, 2018 (HealthDay News) -- Although the opioid epidemic continues to rage in America, promising new data show that first-time opioid painkiller prescription rates have slowed in recent years. The researchers also discovered that people taking medications called benzodiazepines -- used to treat anxiety, panic attacks and mental conditions associated with chronic pain -- were more likely to receive a first-time opioid prescription. The analysis of national data revealed that the number of first-time opioid prescriptions for adults rose 86 percent among those using benzodiazepines and 19 percent among those not using benzodiazepines from 2005 to 2010. But between 2010 and 2015, rates fell 51 percent among adults using benzodiazepines and 15 percent among those not using the anxiety medications. "We were surprised by how much higher the probability is of opioid prescriptions to patients using benzodiazepines, considering that these patients face such an increased risk of overdose," said senior study author Dr. John Mafi. He's an assistant professor of medicine at the University of California, Los Angeles' David Geffen School of Medicine. 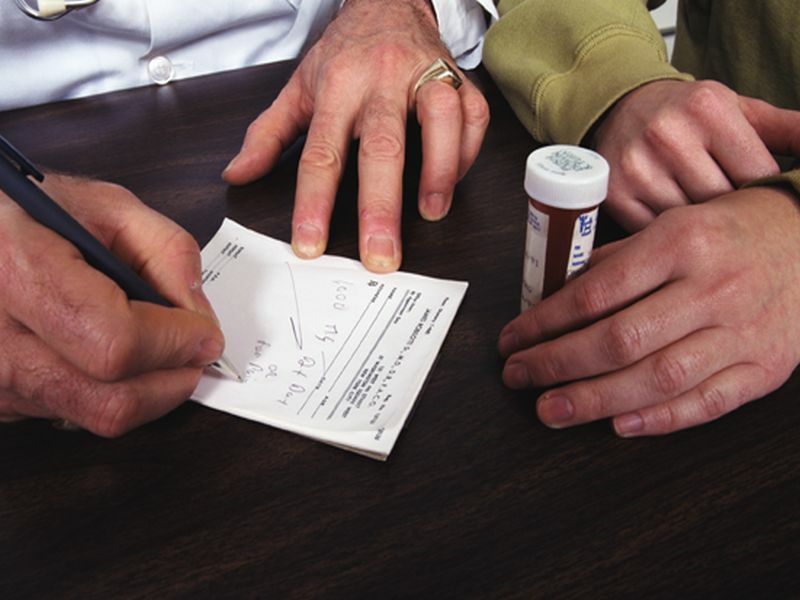 "We were also surprised by how rapidly co-prescription rates fell after peaking around 2010. Such a rapid change suggests that a substantial portion of the initial opioid prescriptions were potentially avoidable," Mafi added in a university news release. Opioid painkillers include OxyContin and Percocet, while Xanax and Valium are benzodiazepines. Despite the leveling off of prescribing rates, opioid-related deaths rose 60 percent during the same period, and federal government data show a continued rise through 2017, the UCLA researchers said. The investigators said the current spike in U.S. opioid deaths may not be driven by recent first-time prescriptions for the highly addictive medications, but rather by patients' continued use of opioids -- which they may have obtained without a prescription -- as well as increased use of synthetic opioids such as fentanyl. "Rates of accidental overdose are high and rising, and we are struggling as a country to address the problem," said study author Dr. Joseph Ladapo. "As physicians, we have contributed to the problem, and one of the things we can do to address it is to reduce co-prescribing of benzodiazepines and opioids, and think very hard about how to effectively treat a patient's pain while also reducing the risks the patient now faces from opioid therapy," Ladapo said. Ladapo is an associate professor of medicine in the division of general internal medicine and health services research at UCLA. The study was published April 12 in the journal JAMA Psychiatry.